In September, the Bizzell Group encourages everyone to participate in National Recovery Month to increase awareness and understanding of mental and substance abuse use disorders and celebrate the individuals in long-term recovery. Now in its 29th year, Recovery Month is sponsored by the Substance Abuse and Mental Health Services Administration (SAMHSA). Recovery Month began in 1989 as Treatment Works! Month, which honored the work of substance use treatment professionals in the field. The observance evolved into National Alcohol and Drug Addiction Recovery Month in 1998, when it expanded to include celebrating the accomplishment of individuals in recovery from substance use disorders. The observance evolved once again in 2011 to National Recovery Month (Recovery Month) to include all aspects of behavioral health. The 2018 Recovery Month theme is “Join the Voices for Recovery: Invest in Health, Home, Purpose, and Community” and emphasizes that integrated care, a strong community, sense of purpose, and leadership contribute to effective treatments that sustain the recovery of persons with mental and substance use disorders. 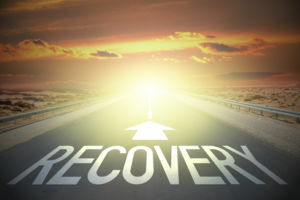 SAMHSA’s key message is that recovery in all its form is possible and encourages citizens to expand and improve the availability of effective prevention, treatment, and recovery for those in need. Recovery month encourages us to recognize that mental health and Substance Use Disorders are chronic conditions similar to those who are managing other health conditions such as hypertension, diabetes, asthma, and heart disease. This observance reinforces the positive message that behavioral health is essential to overall health, prevention works, treatment is effective, and people can and do recover. According to SAMHSA, in 2016, 20.1 million people aged 12 or older had a substance use disorder in the past year, and 44.7 million adults 18 and older have any mental illness in the past year. In the midst of the crisis, millions of Americans’ lives have been transformed through recovery. The observances of this month are a way for everyone to celebrate these accomplishments since these successes often go unnoticed by the broader population. Each September, tens of thousands of prevention, treatment, and recovery programs and facilities around the country celebrate Recovery Month. Participants speak about the progress made by those in recovery and share their success stories with their neighbors, friends, and colleagues. In doing so, everyone helps to increase awareness and furthers a greater understanding of the diseases of mental health and substance use disorders. During this year’s observance, SAMHSA’s website, www.RecoveryMonth.gov and other activities will highlight inspiring stories that help thousands of people from all walks of life find the path to hope, health, and wellness. Advocates, supporters, and people in recovery can also post their stories at http://www.facebook.com/RecoveryMonth/. People seeking help can reach out to SAMHSA’s National Helpline 1-800-662 HELP (4357) for 24-hour, free, and confidential information and treatment referral, or go online to find other SAMHSA resources for locating services. This year’s observances highlight the various entities that support recovery within our society, including urban communities, health care providers, members of the media, and policymakers. Resources designed specifically for each of these groups are in the SAMHSA Recovery toolkit at https://recoverymonth.gov/promote/recovery-month-toolkit.